It was a busy weekend, so apologies for being a day late with this. 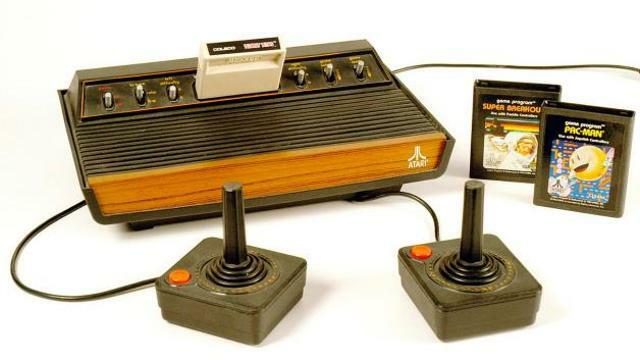 The first console I ever played was the Atari 2600. It had a vast library of games, even though some may have been inferior arcade ports. There were also enough controller variations to make the Wii jealous. Initially released in 1977, the Video Computer System, as it was alternatively known as, had a great run, going all the way until 1992, after the North American launch of the SNES. That spans three console generations, and the 2600 did so well on the market that it even killed its own successor, the Atari 5200. Ultimately though, it’s success came with a price. Atari and other game publishers started over-estimating the sales of future games–sometimes by a lot. While the games still sold fairly well, the games didn’t come close to meeting expectations. The financial fallout is what we all refer to as the Video Game Crash of 1983. The thousands of unsold cartridges clogged up store warehouses until they were sent back to the publisher, who sent them off to be buried in a landfill–a legend we now know to be true. I love my old Atari 2600, and still play it occasionally to this day. In true Retro Wrap-Up fashion, the oprainfall Retro Commercial Research Team–in other words, me–celebrates the Atari 2600 system with some classic TV moments. Let us know your favorite Atari memories in the comments below. Toku-Talk: So, Was Kamen Rider Drive Any Good?